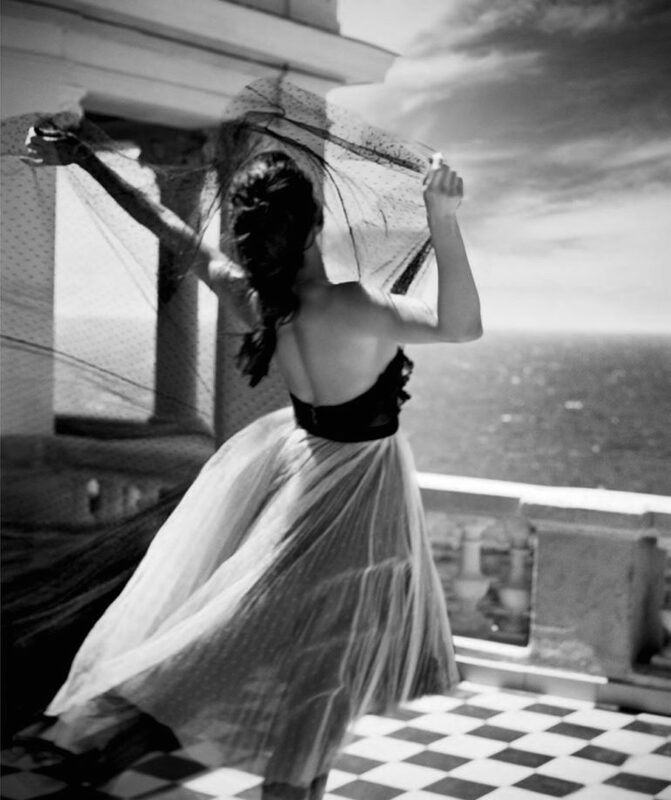 Photographer: Vincent Peters. Model(s): Adriana Lima. 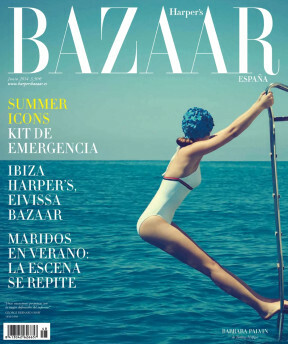 Source: Harper's Bazaar Spain. Stylist: Beatriz Moreno de la Cova. Makeup: Jordi Fontanals. Hair: Perrine Rougemont. Adriana Lima takes us back to the age of decadence in two part series by Vincent Peters for Harper’s Bazaar Spain, July 2017. Adriana explores the fire of the female spirit in, Nueva Era Vuelve la Super Mujer, the New Era of the Super Woman. The power of this piece rests in the poetry of the person, as Lima allows her body to become one with her surroundings. Strolling through this palace by the sea, she’s at once enchanted by the rising of the light. Peters presents this story in black/white allowing us to take in the majesty of the moment. Beatriz Moreno de la Cova captures the auspicious energy of vintage styling while still evoking a sense of spirit. The fire of modern fashion is conceived as each picture propels us forward. The curves of her body aren’t just beautiful they are of another world. So spectacular is her figure we can feel the feminine energy flow over every capture. Clothing is not the focus here, rather, it’s the synergism that speaks. Allowing atmospheric elements to combine in an effort to produce a sum greater than their parts. Here we see that compelling concept come to life. The human skull is a structure not often thought of from a beauty standpoint. That’s to say, when we determine the portent of pretty we don’t often take into consideration the jaw line. How wide the face is displayed, and as a result, how far apart are the eyes set. And then there’s the Lips. Those succulent shapes that aren’t mere additions thrown in at the end, rather, they are an exquisite mix of art and articulation. Jordi Fontanals starts with a palate of perfection. I’m not speaking out of turn, I am merely stating a fact. To be lost in the beauty of Adriana, is to be driven mad by the music of her face. Her fine features can’t be measured by man’s mere tools, for they are specimens of spectacular spacing. Nature has taken care to create a face of undeniable beauty as dark brown lays a pathway to the brows. Deep with a kind of dignity and daring, we see her spirit fly. Sans shadow and mascara, a light touch of liner make her eyes shine. It’s the new naked. Barely needing any help to highlight these exotic elements stand out. A compelling construct, this light-touch is taking over the cosmetic future. Her bronzed palate requires nothing but a simple skin shimmer mixed with a just-kissed mouth shade. Dark features play up against her clean face ~ leaving the end results both intoxicating and mysterious. Perrine Rougemont pulls off something spectacular with strands that don’t look like they’re in an up-sweep. Somewhat deceptive, her hair is actually done in a modified french braid. Evolving from a proper updo to an endless array of wondrous waves. Peters allows the architectural backdrop to tell a story. The columns creates a sense of history, while every piece of chipped paint inspires spirit and adventure. Mimicking a Flamenco dancer, she waves her arms up allowing the black veil to spread out around her. Watching Lima get swept up in the motion of the ocean, she moves around this vintage sea palace each room tells a story.